Noah was a patriarch and a great man of God. His faithfulness and obedience save the human race from the Great Flood. So only a few years after that historical voyage, how did Noah end up lying outside his tent drunk, naked, and ashamed? Nimrod was the first on earth to be a mighty man. His great-grandfather was Noah, his uncle, the rebellious Canaan. 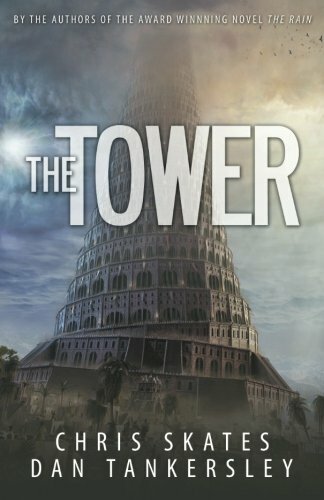 When Nimrod decides that his kingdom should include The Tower, what will Noah, the elderly patriarch do? In their first award winning novel The Rain, authors Skates and Tankersley took readers on a captivating, year-long voyage about the ark. In this sequel, you will be swept along on a non-stop adventure that begins with Noah and his family, and continues to the time when Nimrod ruled the Valley of Shinar and built The Tower. Along the way, expect intrigue, romance, suspense, and the sometimes violent, never-ending struggle between good and evil. If you have any questions about this product by Be Ready Ministries, contact us by completing and submitting the form below. If you are looking for a specif part number, please include it with your message.